The Angus Floatafoam System comprises a number of fully automatic foam delivery modules designed to detect and extinguish floating roof tank rimseal fires in their infancy. A number of Floatafoam modules together comprise a full system to protect the whole circumferencial rimseal of a floating roof tank. Each module protects 40 metres of tank perimeter and consists of two vessels, one containing 135 litres of water, and the second FFFP foam concentrate. A special inductor combines the two in the correct proportion and feeds foam solution to 16 equally spaced aspirating foam nozzles. The foam system is charged with nitrogen and on discharge applies foam for 30 to 40 seconds at a high application rate into the rimseal area. 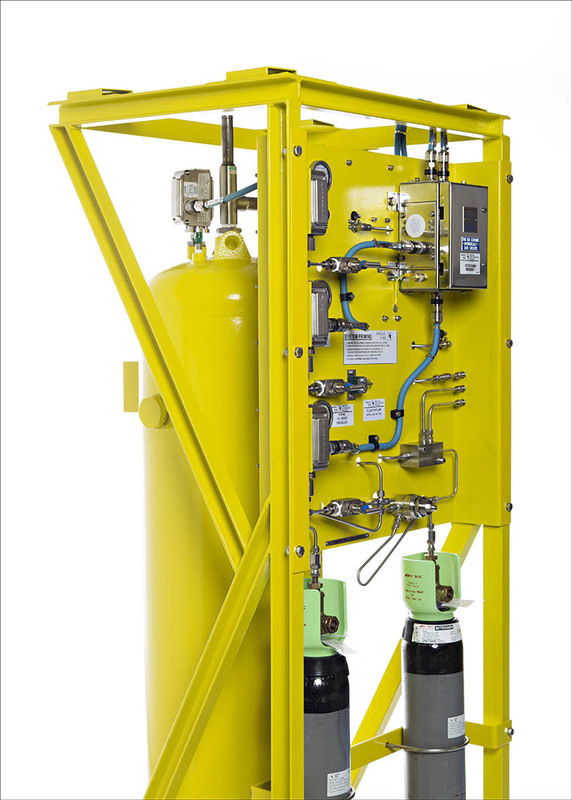 Primarily designed to replace halon systems which are now considered environmentally unacceptable, the Angus Floatafoam is equally suited to new tanks being built and tanks which currently have no such protection. Floatafoam is a versatile system which can be tailored to suit your preferred operating philosophy and specification requirements. Detection is normally by means of a looped line of thermoplastic tubing permanently charged with Nitrogen and positioned to detect fires in the seal area and shoe gap (a double loop may be required depending on seal arrangement). When fire ruptures the detection tubing, the pressure drop triggers the foam discharge and rapid extinguishment results. Electrical linear heat detection is available as an alternative option.